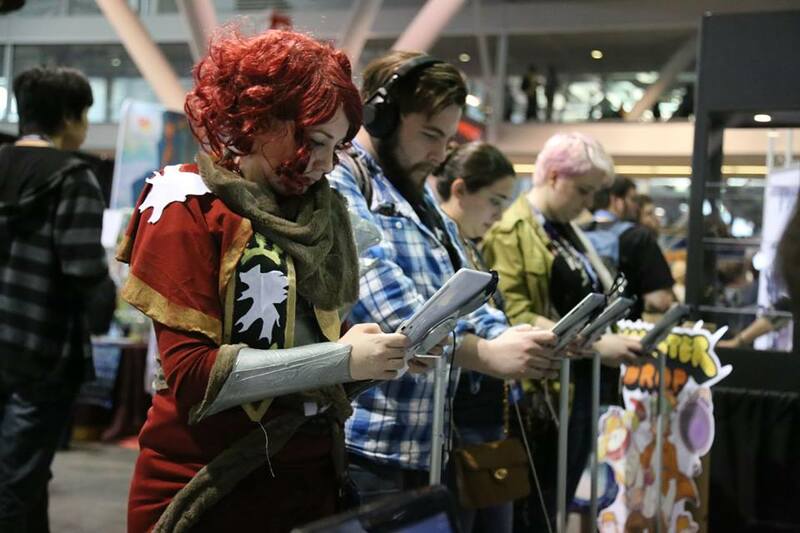 PAX East 2014 has come and gone. 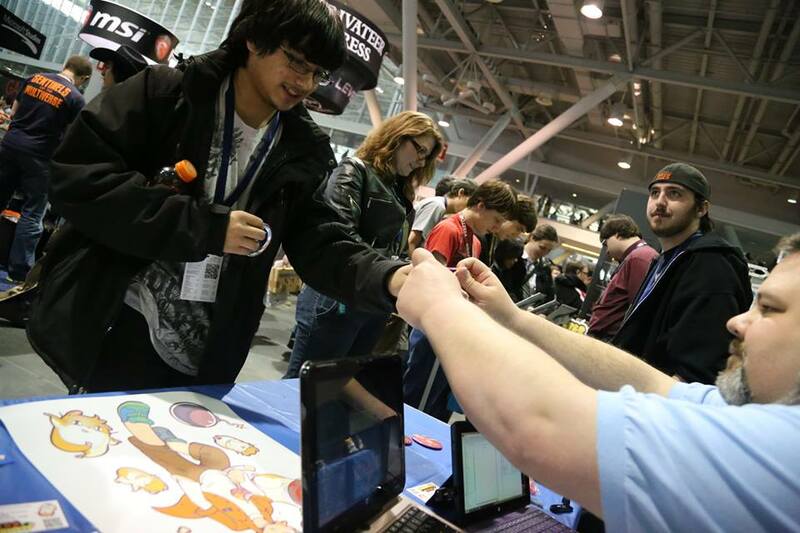 We of Skylance Studio attended again this year to demo Hamster Drop in it’s release form! This year we had even more! Not only did we have the full game to demo, and available to buy, but we also had a whole box of those adorable plush hamsters to buy! But why stop there? We made a whole batch of buttons for the pilot hamster, and Raye! Even ultra high quality print posters for the super fans! The whole event went over extremely well. We didn’t have a thing left by the end. Even bigger, we also had a very awesome surprise special guest! Who? FInd out more below! 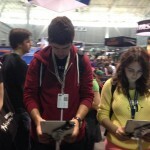 It was great to see a lot of familiar faces; fans from last year and developers alike. Of course you can’t beat meeting all new people as well! 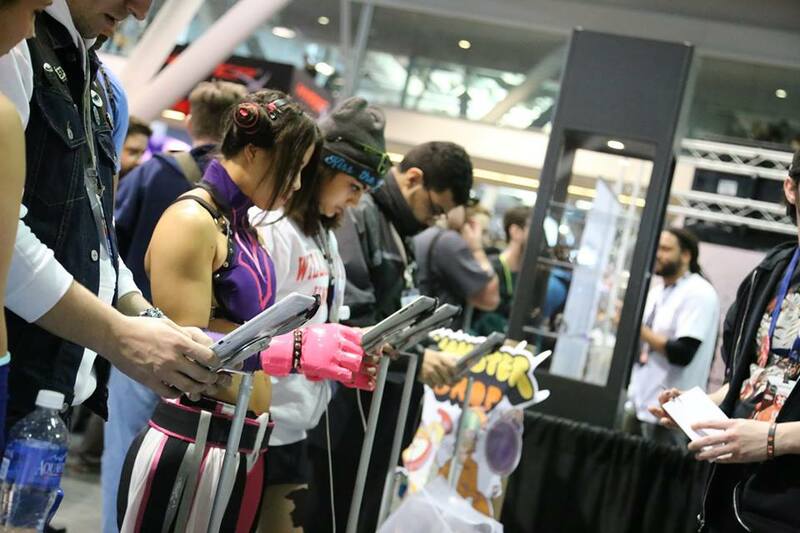 We had a ton of people really excited to play the game, and many people got the game right at our booth. Thank you to all who supported us! The hamster plush and most of the buttons got all gobbled up within the first day. Sorry to anyone who didn’t get any. We may be able to offer stuff like this for order on our site at some point! So, regarding those things, many people asked about shirts. 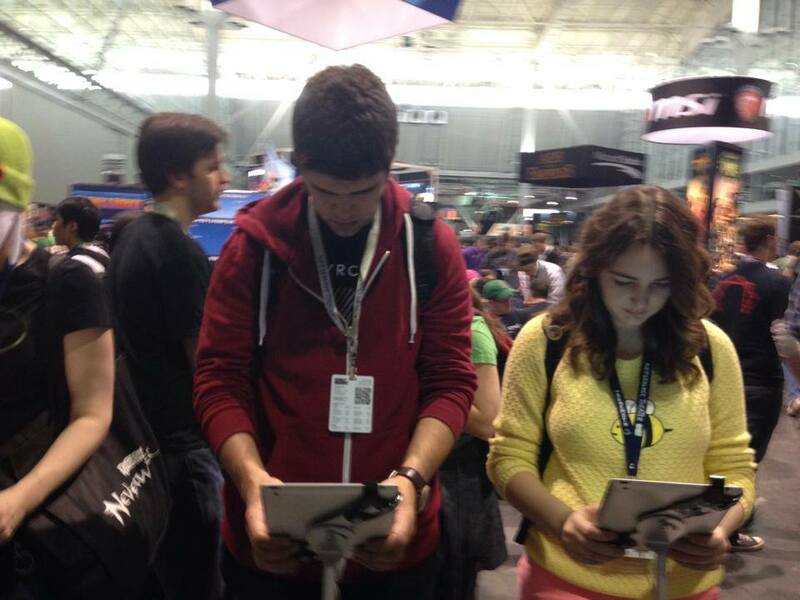 You may be also wondering why some of our people at the booth did not have shirts as well. Sadly, the shirt company we were dealing with had suddenly shut down the week we were to be getting our shirts and we were left without any. All we had to work with were the remainder from last year’s that we still had. After that, we tried another company who delayed on us and then couldn’t make it in time. Hamster shirts were simply not meant to be for this year. As above, due to the high demand for these we may offer them as a product we sell ourselves through the website at some point. Stay tuned for that! 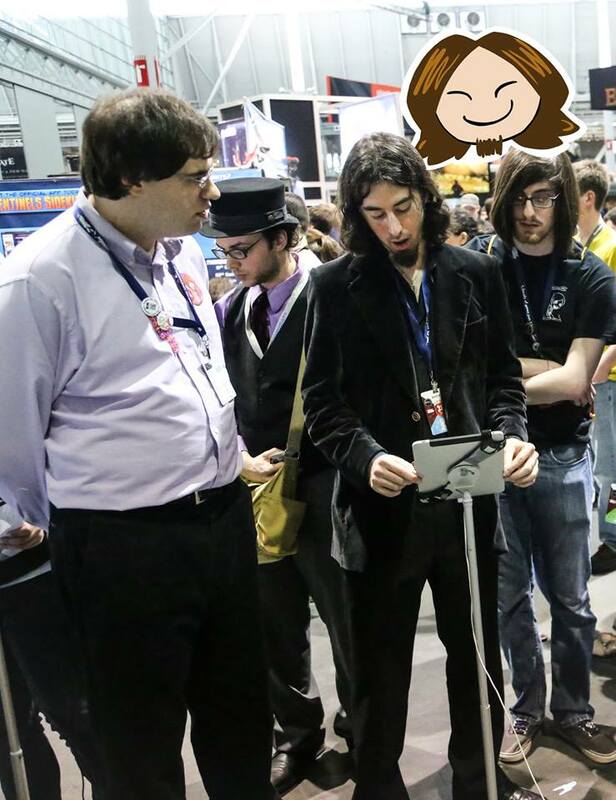 I think the standout moment of the entire convention for me was a visit from James Portnow of Extra Credits! After attending his talk at the DigiPen booth, I asked James if he would be willing to give his thoughts on the game, and he said yes! Bringing along some designer hopefuls, James headed over to the Hamster Drop booth. He both guided the fledgling designers through analyzing the game and also shared his own thoughts! So what did he think? For the most part he liked the game! He liked the gameplay and art, and the way the input was laid out, as to say, how whole halves of the screen act like giant left and right buttons. He also mentioned liking the level design from what he saw. 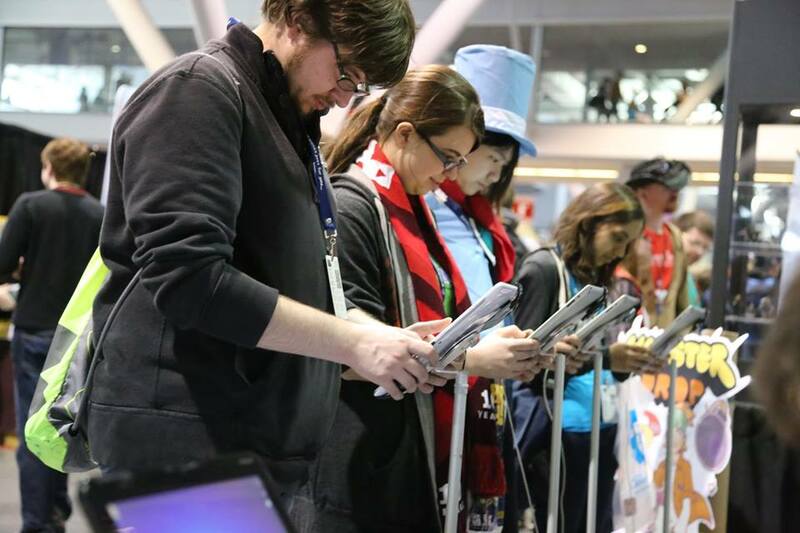 It was hard to critique the sound at PAX given the loudness of the convention itself but he noted it sounded like the effects gave enough feedback to the actions. The things he thought we could improve on were mainly the way things are explained to the player. As a blanket criticism, he would have liked to see far less reliance on text which the user is prone to skip over often. Also noted about watching player behavior, like players trying to skip the How to Play screen messages. I agree with his assessment, and the honest feedback was great to hear! A big thank you to James Portnow for having a look and sharing his thoughts! Anyone reading this should head on over to Extra Credits and check out their videos on design, the industry, and more! I’ve been following them for a long time so it was really exciting to have James critique the game! 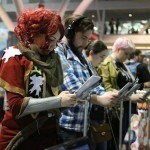 So that was an amazing PAX East to say the least! Seriously, if you have never gone to a PAX before, it is really worth it as not only a developer but as a fan. You’ll feel right at home.